The Science of Equestrian Sports is a comprehensive study of the theory and practice of the rider in equine sport. While most scholarship to date has focused on the horse in competition, this is the first book to collate current data relating specifically to riders. It provides valuable insight into improving sporting performance and maintaining the safety of both the horse and the rider. 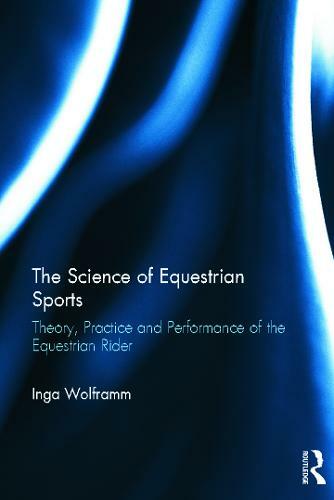 This holistic and scientific examination of the role of the horse rider is essential reading for sport science students with an interest in equestrian sport and equitation. Furthermore, it will be an invaluable resource for instructors, coaches, sport psychologists, or physiologists working with equestrian athletes. "This is a landmark text for all riders, if they are truly committed to do the best for their horses rather than simply pay lip service to the notion of excellence in training and riding. Every horse deserves a rider who has read this book!" Dr Andrew McLean, Director Australian Equine Behaviour Centre & Equitation Science International and President of the International Society for Equitation Science.